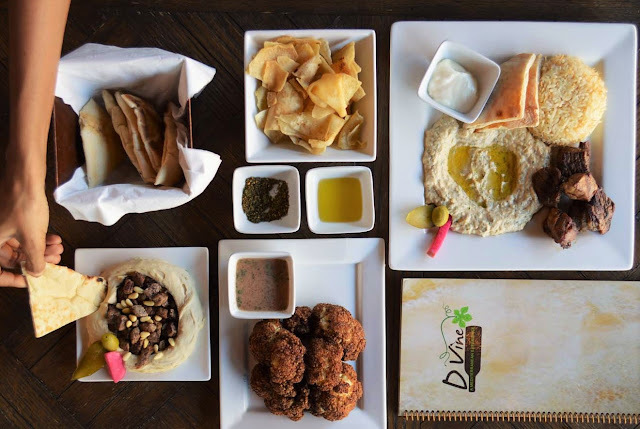 Here's a D'Vine Mediterranean Experience That Will Take Your Taste Buds to the Heavens - EAT WITH HOP! 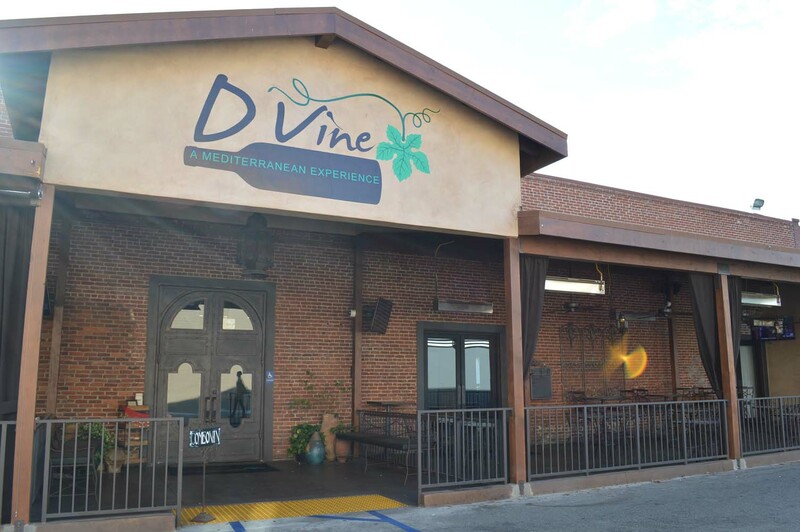 Fine dining with a D'Vine experience. You'll be so amazed by the food here that you'll think you're eating in heaven, trust me. Especially the garlic sauce. That sauce makes everything taste D'Vine. 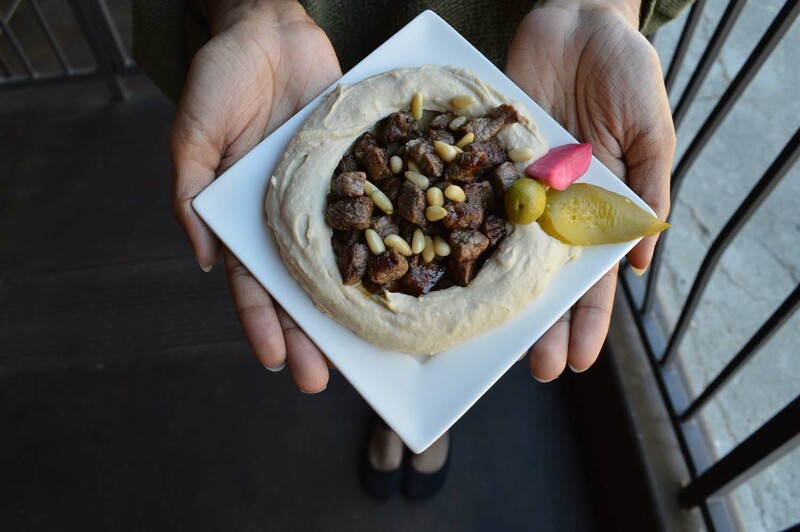 Hummus topped with diced beef, pine nuts and olive oil! This was sooooooo good. 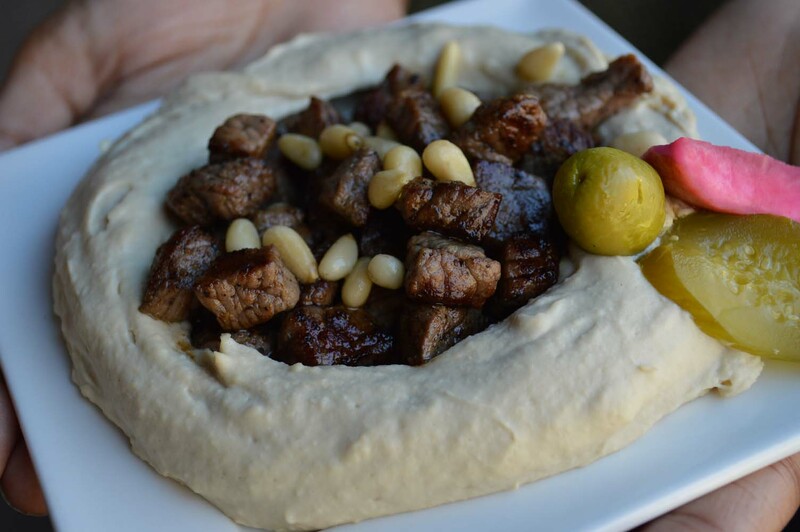 Absolutely love the hummus together with the beef! I think they gave a good amount of pita bread too to go with the hummus and beef! 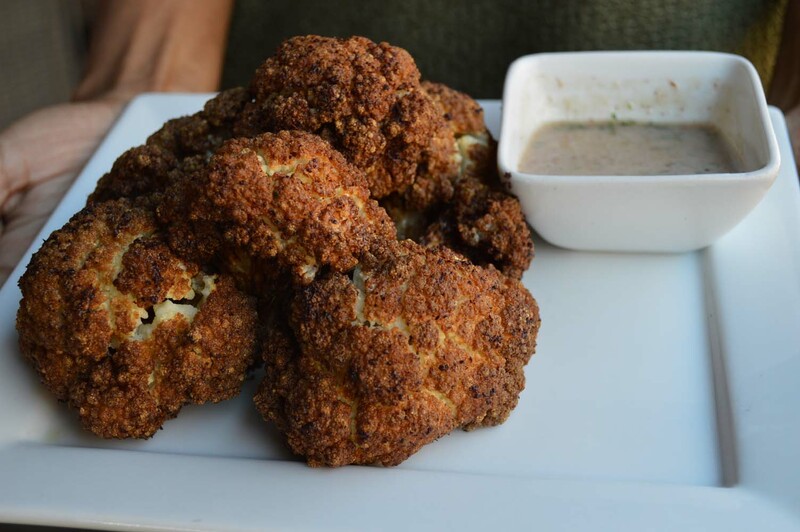 Lightly fried cauliflower drizzled with seasonings. Seasonings so good that I didn't really need the sauce it came with which was sort of tangy. But you know what tasted best with this dish? THE GARLIC SAUCE OMG. Just order the garlic sauce here. Bring it home too.... !! Grilled, marinated chunks of lamb on a skewer! In this case they removed the skewer for easier eating! We got more hummus for our entree! AND OF COURSE, WE HAD TO GET THE GARLIC SAUCE!! Fruit syrup popular in the Middle East made from dates, grape molasses and rose water. 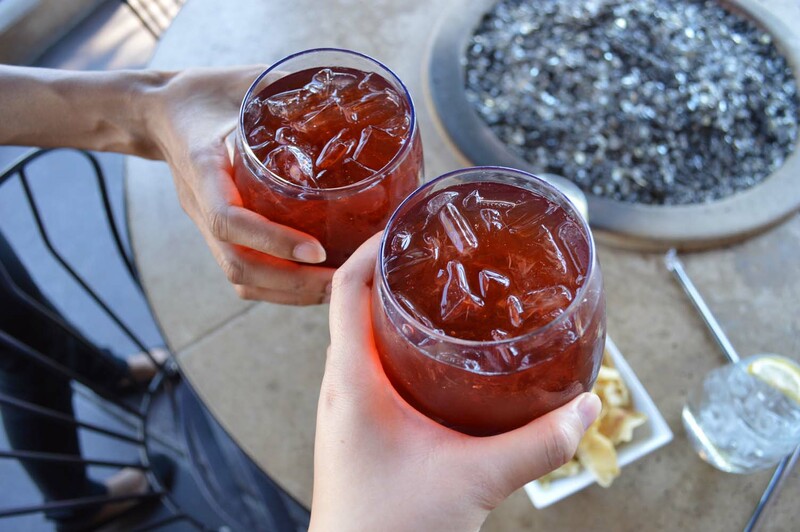 Lexi and I for sure had to get seconds of this drink because it was so yummy! The drink itself has all the flavor mostly sitting at the bottom so it'll taste REALLY strong if you don't stir it up at first. I personally like it sorta strong so I didn't stir it up that much. Only a bit so that some syrup is still at the bottom so that I could really taste it. If it is still too strong after mixing then I recommend that you wait for the ice to melt so that the drink is diluted a bit! Some chips and olive oil and herbs to start off with! I love how crispy the chips are! 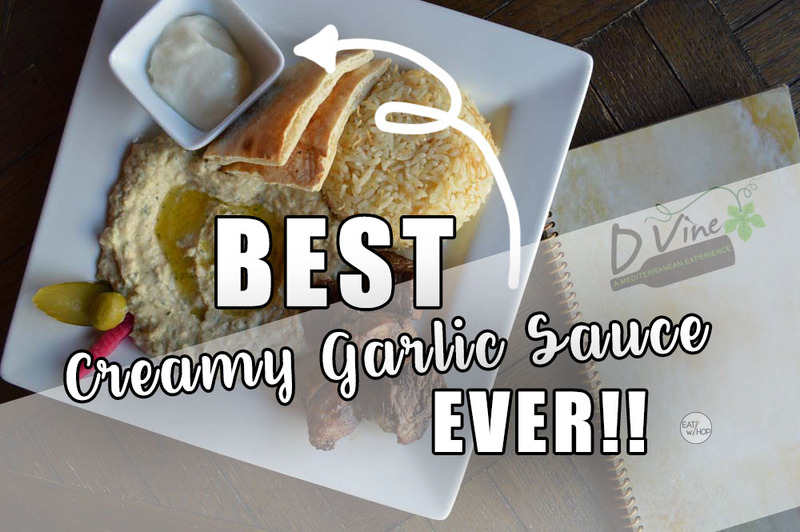 SERIOUSLY THE BEST GARLIC EVER! Did you know that this is only garlic puree with some lemon added? That's absolutely it. NO WONDER IT'S SO GOOD. This thing will allow you to slay some vampires, seriously. Mediterranean Ice Cream topped with pistachios with rose water flavored ice cream! 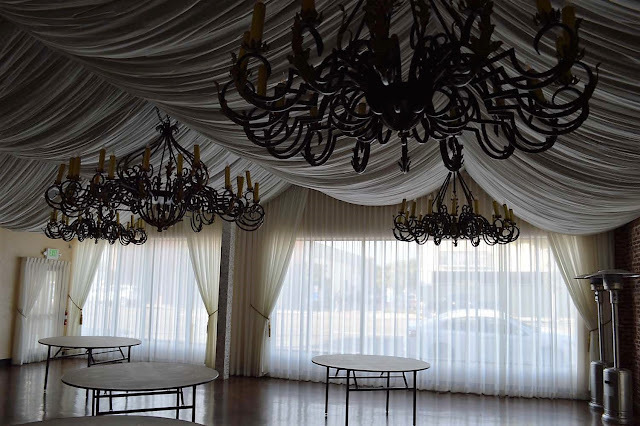 They have a private room for events too! It's such a beautiful setting! Look at the nice fancy white curtains and chandelier lighting! This is what the inside of the restaurant looks like. Dim romantic lighting. Take your date here! This is the outside seating area of D'Vine Mediterranean Experience. So lovely! Lexi and I sat outside here! 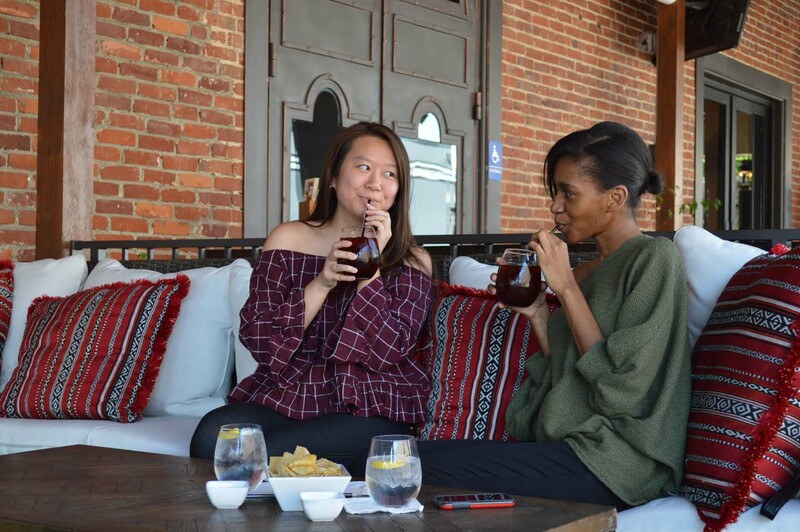 Oh you know.... just catching up over hot guys in K Dramas and KPop while sipping on our delicious Jallab (rose water) drinks with Lexi! Also, I wanna take this time to introduce y'all to Lexi's entrepreneurial endeavors: XIIXII HANDBAGS. I've always known her as an ARTEEEST! And am so happy to hear her pursue one of her passions! Check her out y'all if you wanna Eat in Style with the most fashionable handbags eva! Her handbags are so chic. 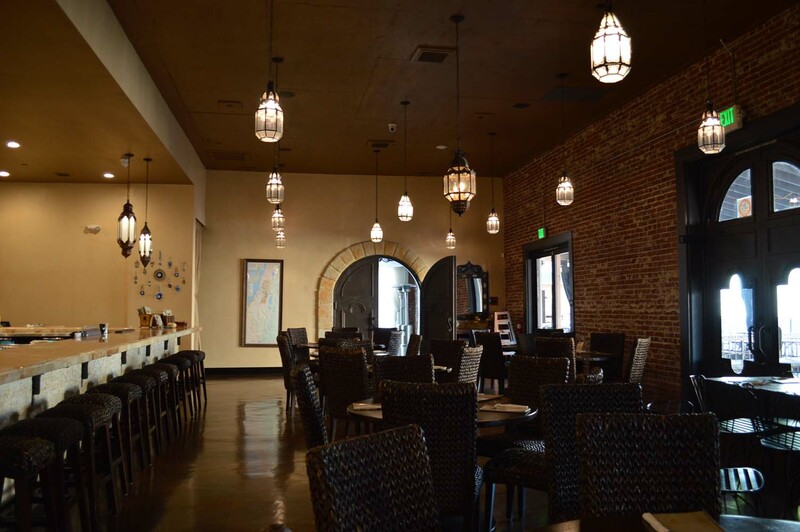 This restaurant is beautiful inside and out! Located right by the trains station in Fullerton too! 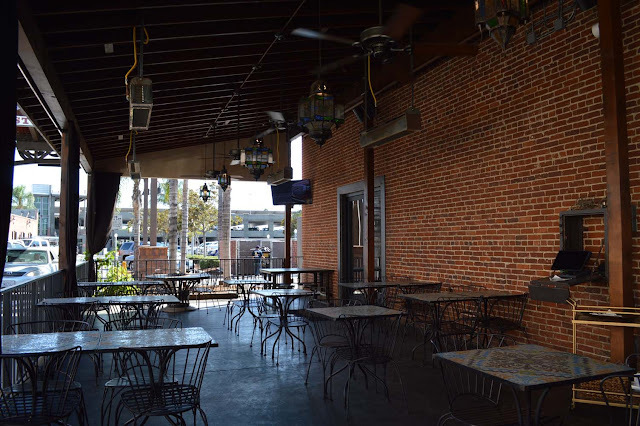 It's in the SOCO district of downtown Fullerton too so no need to worry about parking. There are free parking areas! I took Lexi out here on a date to have a D'VINE EXPERIENCE! It was an unforgettable meal. Especially since we basically spent like 3 plus hours just girl talking and enjoying ourselves. Even though we were the only guests sitting outdoors the customer service was on point! The waiters would constantly come outside to check up on us and even the chef himself came out talk ask us how we thought about the food. 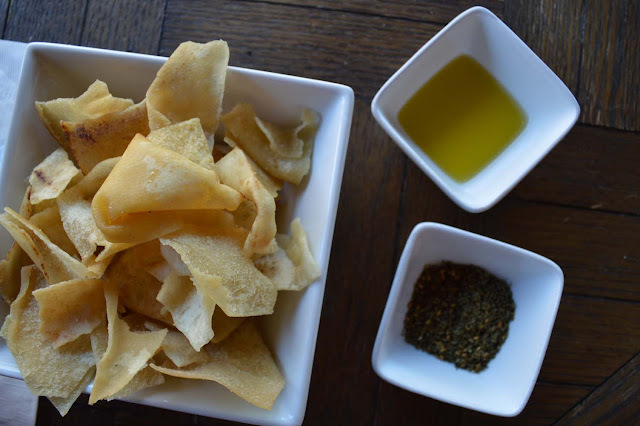 For starters, we had crispy pita chips to dip with some olive oil and herbs. So good! We also ordered a variety of dishes that obviously had to include hummus and pita bread! And LAMB! We LOVE LAMB! One of the highlights was definitely THE GARLIC SAUCE! I cannot emphasize enough how divine the garlic sauce is! It is just so dang good that I'm glad I waited on it for the pita chips in the beginning. That garlic sauce seriously goes well with anythaaaaaaaang. It's so popular apparently, that the restaurant started to packages so that customers could buy it to take home! 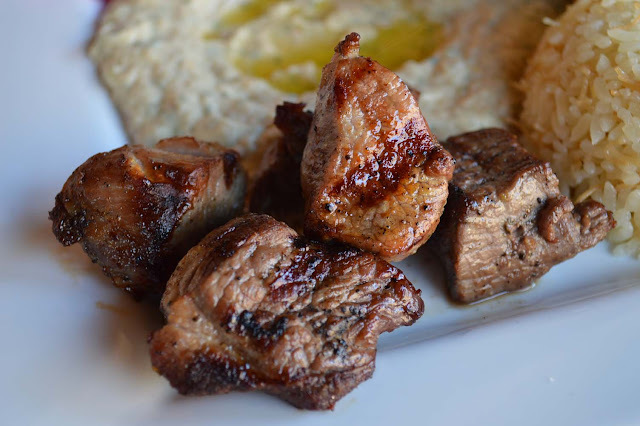 Hummus with meat (beef): The beef cubes were so tender and juicy and went well with the hummus! 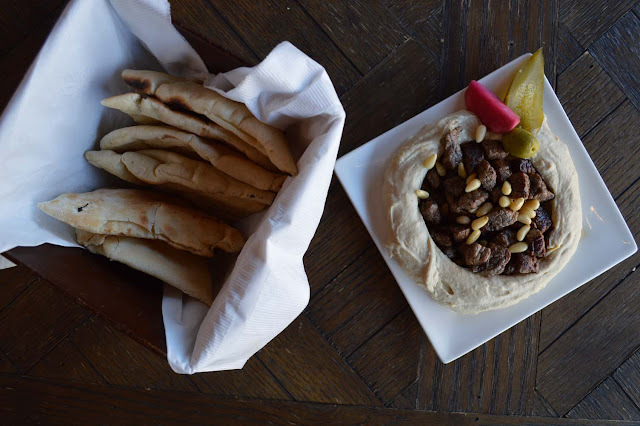 It came with 6 pieces of pita bread which was the perfect amount to scoop up all of the hummus! Cauliflower: This was crispy cauliflower that I expected to be greasy. To my delightful surprise, it was absolutely perfect and not greasy at all. I could eat this guilt-free! The sauce it came with was sort of tangy but I totally dipped this with the garlic sauce, of course. 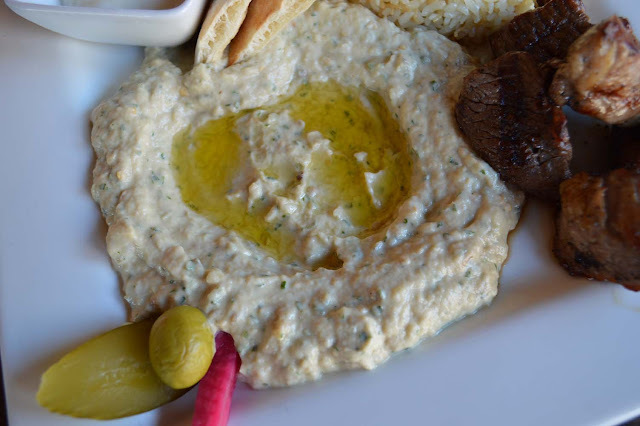 Lamb Kebab with Hummus and olive oil: Um.... SO GOOD! Lamb anything is good. It didn't taste too game-y or anything which is usually a concern for most people who are particular about lamb. It was juicy too. This was the dish that came with the famous garlic sauce! 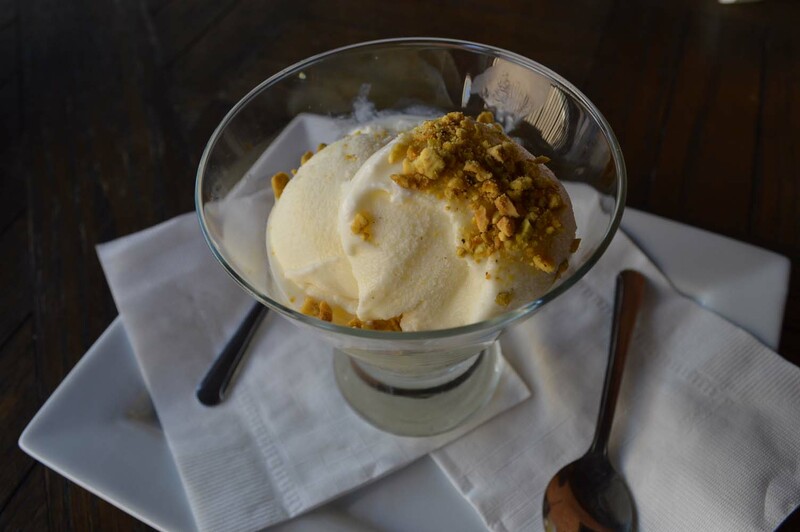 Ashta Ice Cream: There are crushed pieces of pistachio on top of our rose water flavored ice cream. I wasn't really sure if it was rose water or pistachio flavored ice cream... But either way, it tasted delicious! I forgot how the chef explained it... but this ice cream is made with like... the cream of the milk or something when it's freshly milked from the cow...?!?! SOMETHING LIKE THAT?! Anyway, it was good. Overall: Prices are decent in my opinion ranging from $10 to $16 for entrees. 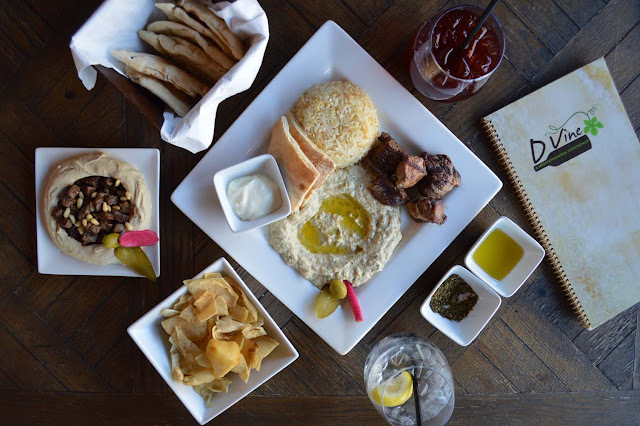 For every entree, you can choose a side too! The customer service was great and the food was quality! I love how the chef came out to speak to us. It felt like we were a lot more connected to the food that way. Whatever you do though, GET THE GARLIC SAUCE!